Both of these charming chalets are under one roof and run by My Mountain Chalets. The building is split down the middle, with Marvel on one side and Marmotte on the other. In fact, they are complete mirror images of each other. Both sides sleep up to 12 people in 5 bedrooms (2 doubles with en-suite bathrooms, 2 twins of which one shares an en-suite bathroom with a double room, making it great for a family of 4 and finally a triple/quad room, consisting of a bunk bed, single bed and a pull out truckle bed). There is also a sofa bed if needs be, but the company only advises the use of this in the self catered chalet, as they don’t want to be laying the table for breakfast in someone’s ‘bedroom’. 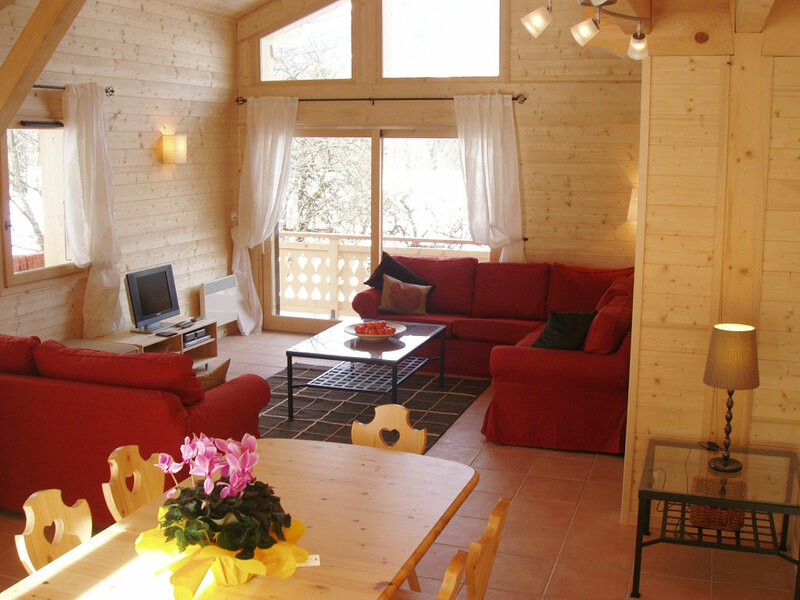 Each chalet contains a high chair, buggy, stair gate and cot along with 2 car seats. 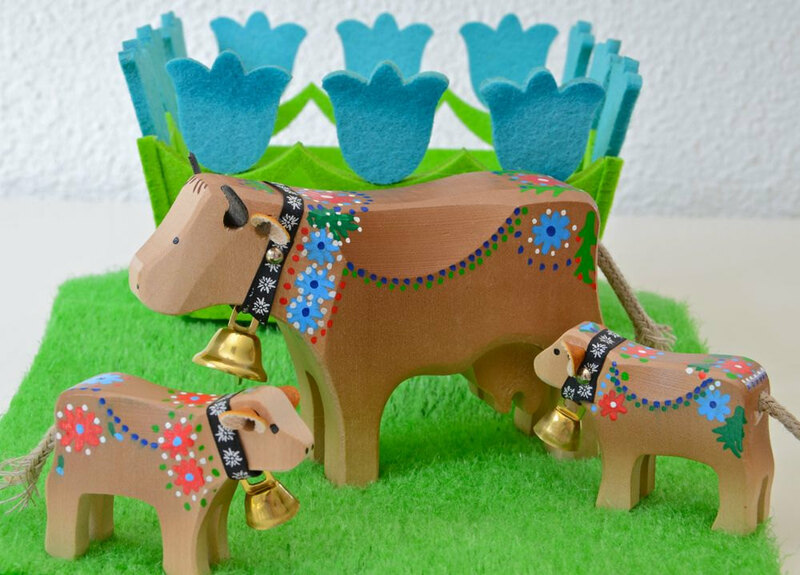 There is a very good local nursery for children aged between 3 months and 6 years, and My Mountain Chalets can arrange in-house baby sitters too. There are ipod shuffles, 2-way radios, GPS Trackers and helmet cameras for guests to use on the slopes, plus DVD’s, books, board games, PS3 console with music and various games back at the chalet at the end of the day. 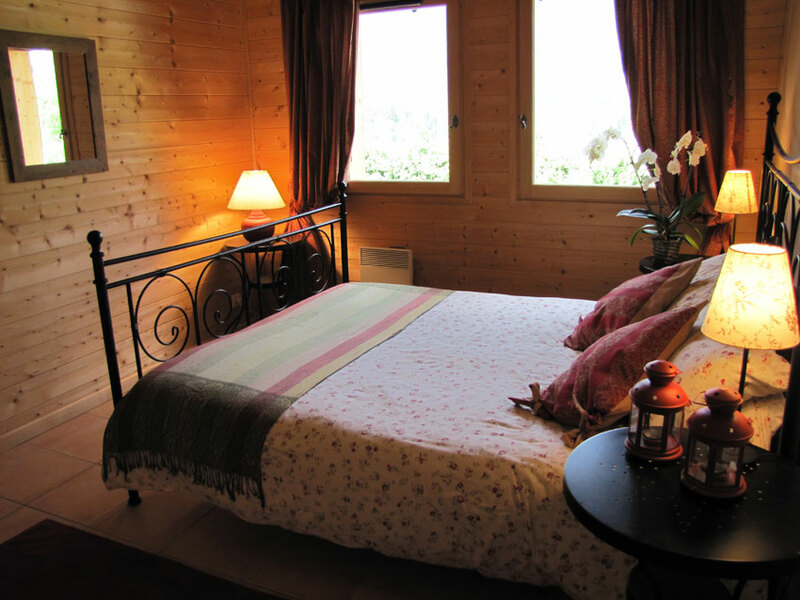 Chalet Marvel is usually run on a fully catered basis with Marmotte as self catered, but this can change if there is a large group wanting both chalets combined – either as catered or self catered. 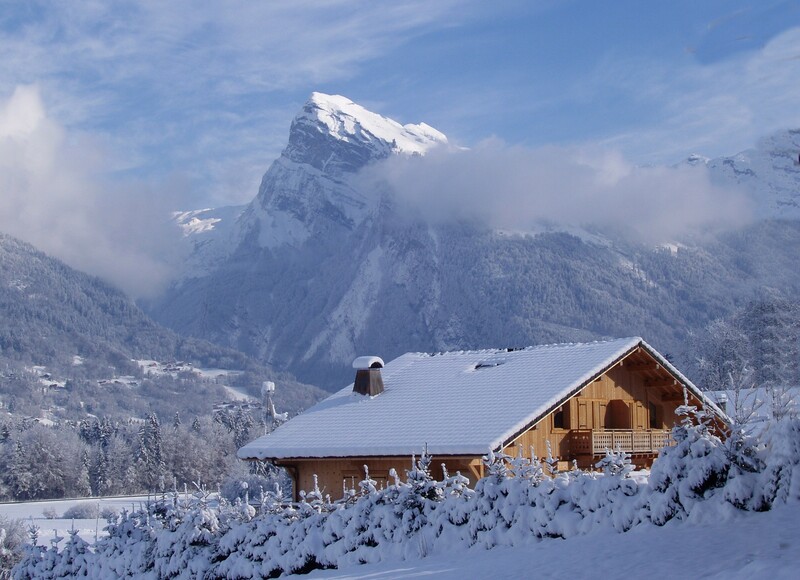 The chalets are set in a small hamlet in between Samoëns and Morillon, with open fields in front of the chalets, providing plenty of space for children to run around, sledge and build snowmen. The main resort, Samoëns, has activities to appeal to all the family – including an ice rink, toboggan runs, dog-sled rides, snow shoeing, paragliding and skidoo rides. The nearest airport is Geneva, just 60 minutes drive away, and My Mountain Chalets can arrange airport transfers. They also drive their fully-catered guests to and from the ski lifts each morning and afternoon at a time to suit them in their minibus. The Grand Massif offers 265km of pistes, including ideal nursery slopes for beginners and some excellent off-piste skiing too. Here at FamilySkiNews.com, our favourite run is the Cascades piste – a beautiful 14-km blue run through the National Park from the very top of the ski area down to Sixt on the valley floor. All offers are subject to availability. Prices are for adults. Under 16s stay for 80% of the adult price, under 5s stay for free. For further details or to book one of these fantastic deals, contact www.mymountainchalets.com or call +44 (0)7786 444834. Don’t forget to book your skis with SkiSet in Samoëns, using FamilySkiNews.com’s special SkiSet link – it will give you a massive saving of 45% off hire of all ski and boarding equipment.